Massage Chair Relief is excited to announce today the addition of its newest line of massage chairs. The company is passionate about stocking The Perfect Chair "Transition" PC-085 and "Serenity" PC-086 models to its customers. There's a popular misconception out there that one must leave their home or office to get a great massage, but nothing could be further from the truth. Massage Chair Relief has been proving that misconception for years, and has a large following of loyal customers who have all benefited from their products to prove it. Massage Chair Relief is excited to announce today the addition of its newest line of massage chairs. The company is passionate about stocking The Perfect Chair "Transition" PC-085 and "Serenity" PC-086 models to its customers. Massage Chair Relief's roots are based on complete comfort and whole body care going back over a decade. There is a reason they are the leader in massage chairs. 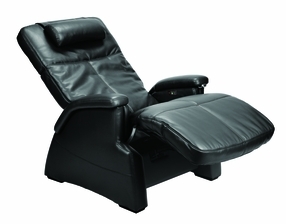 Massage Chair Relief now carries "The Perfect Chair" by Human Touch with the Zero-Gravity Transition and Serenity chairs. Massage Chair Relief offers the customer a wide selection of choices and puts the customer in control of their purchase. Perfect for those in need of a relaxing massage without taking away from their day by driving to a location. The designers have tailor-made a full body experience perfectly with the new Zero-Gravity Transitional Recliner and Serenity air massage chair. Versatile and durable, The Perfect Chairs are designed to withstand thousands of uses without losing its effectiveness - simply put, The Perfect Chair never compromises user experience no matter how often it is used. This remarkable PC-085 recliner chair – inspired by the zero-gravity chaise developed by NASA to support astronauts during their ascent into orbit – relieves the soreness, tension and fatigue caused by the earth’s constant pulling. And as one of our most generously padded recliner chairs, the Human Touch PC-085’s fixed-form seating position ensures maximum ergonomic posture at all recline angles, consistent with physician recommended sitting posture. Beyond function, the PC-085 Perfect Chair fits your sense of design as comfortably as it fits your body. With numerous color combinations of genuine leather, plush faux-suede and solid plantation-grown parawood, this remarkable reclining chair complements even the most sophisticated room decor – perfectly. The Perfect Chair’s frame ergonomics put the body in a virtually weightless position that physicians recommend as the healthiest way to sit. Within the PC-086 chair lies an equally stunning advancement—jade stones that radiate far infrared heat up to three inches into muscle tissue to create healing warmth that can be felt long after you leave the chair. Add to that full-body, gentle-wave therapy technology and you’ve reached the perfect bliss. In their constant drive to offer better performing products to their customers Massage Chair Relief perform quality tests on every item they sell to ensure consumers are more than satisfied with their purchases. The Perfect massage chairs, Zero-Gravity Transitional and Serenity chairs. The ideal combination of inspiration and relaxation. The Perfect Chair collection - available at Massage Chair Relief. Visit http://www.massage-chair-relief.com to view more on the 'Perfect Chair' line collection.